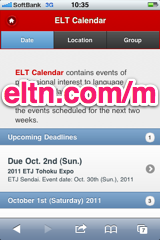 ELT Calendar Tenri City, Nara Prefecture, for language teachers in Tenri City. 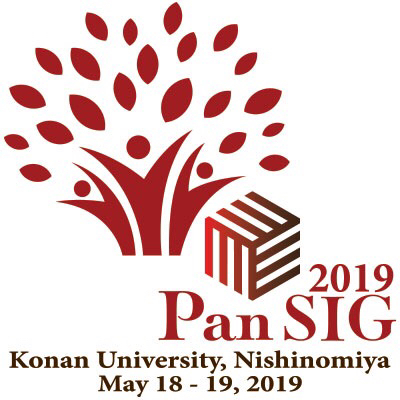 Events of professional interest to language teachers in Tenri City. There are no upcoming events scheduled for Tenri City. You could try the Nara Prefecture Calendar, or use our advanced search page. Here are some of the past events in Tenri City. 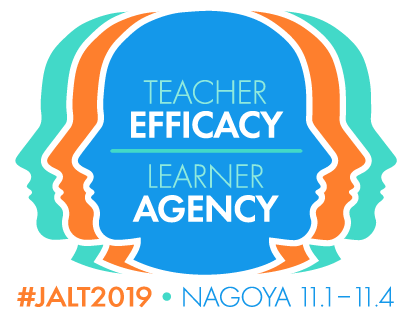 First line of description: Schedule: 12:40-13:00 Opening Addresses 13:00-13:30 Presentation 1: Kazuya Nakakono (Unebi Junior High School) Looking Back at My First Year as a Junior High Teacher 13:40-14:20 Presentation 2: Yasuhiro Sakata (Takada High School) Pronunciation Practice for the High School Students Who Want to Be Elementary School Teachers14:30-15:10 Presentation 3:Takashi Yamamoto, Misa Naruse, and Motoyasu Saito (Tenri High School) Towards Establishing the a Unified Syllabus for the Whole School15:20-16:00 Workshop/Presentation 4:Matthew Apple (Nara National College of Technology)To Use Tech or Not to Use Tech: Is This Even the Right Question?This part-lecture, part-workshop will first offer a set of criteria for assessing the use of technology in the language classroom, after which participants will be invited to examine a list of potential language learning activities and discuss what technology could be used to help the learning process.